I woke up a bit earlier than usual, in time to hear several long calls of the whistling thrush. Longtime readers of my blog know that this is one of my favorite sounds in the world. As I was checking my email, Dan was eating his breakfast. He told me to come to the window where he sat. 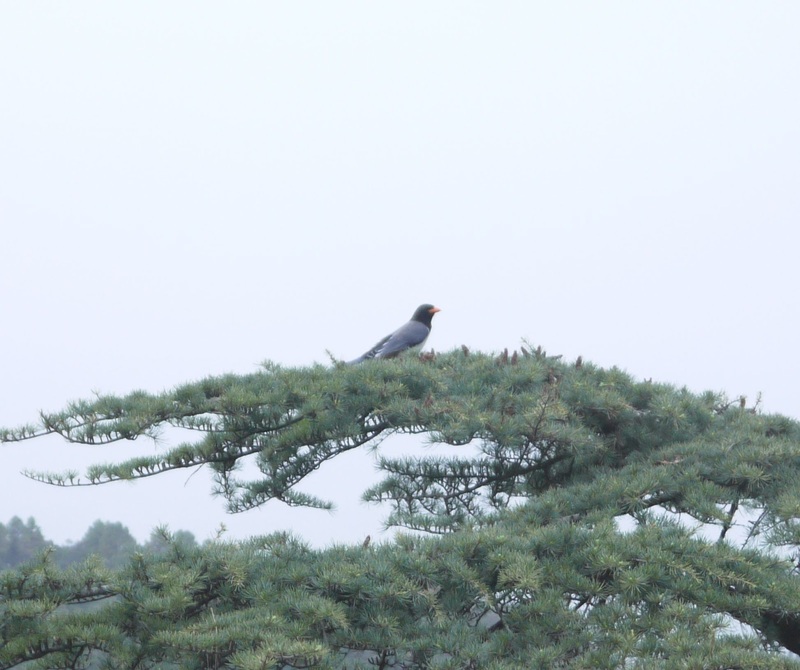 A beautiful bird was perched right on top of the tree outside our window. We watched for a while as he moved from branch to branch. 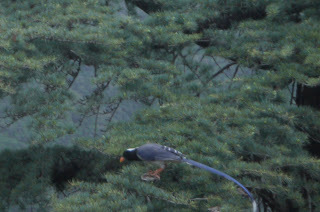 Eventually two others came to the tree, but none of them were close enough to each other to get a shot. 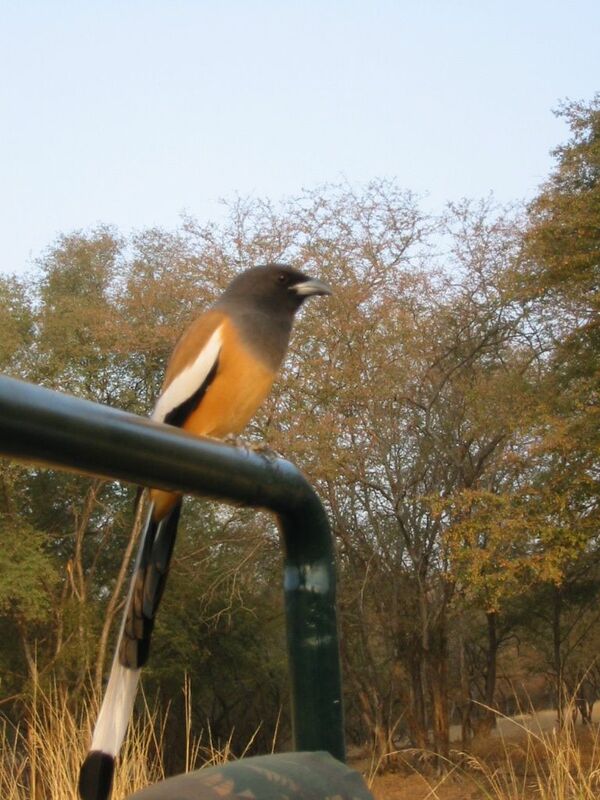 It was beautiful, with a bright orange beak and an amazing tail. I looked it up online and found that it is a Yellow-Billed Blue Magpie, found in the lower HImalayas. There is also a small population in Vietnam. Go figure. It reminded me of the bird that we saw in Ranthambore in 2005. It sat on the truck just behind us. I believe it is a Rufous Tree Pie. What a beautiful colour, Anne! I wonder if you will ever see another one. Thanks for posting.